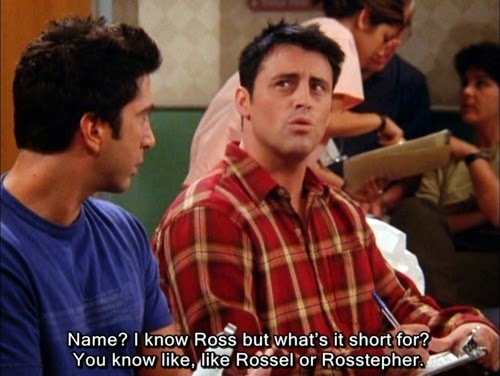 Who isn't a fan of the 90's famous television romcom series "Friends"? Even till date, people keep watching it on a repeat mode and that tells us how much it is loved. 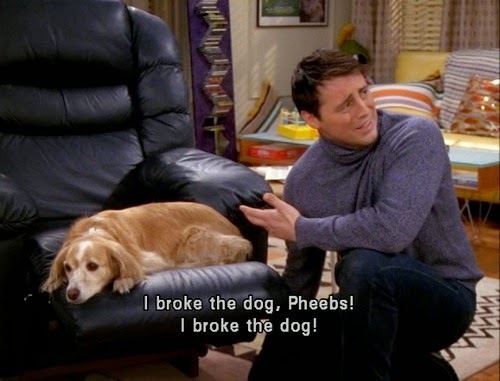 Though all the six lead actors have put in their best efforts offering us some hilarious moments, the most loved male character Joey Tribbiani was always a step ahead. 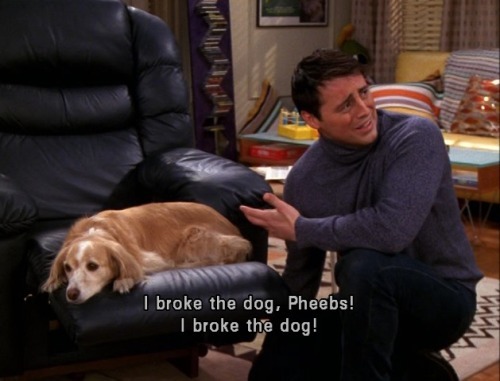 Let's not waste any time to make our next few minutes funny by checking out the best quotes from Joey Tribbiani On Friends. 1. No one can forget the famous line of Joey "How You Doing?" 2. 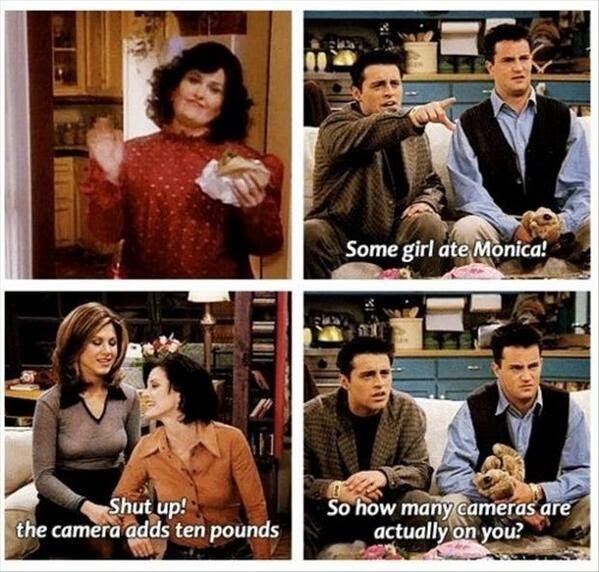 The reaction Joey gives on watching Monica's good old fat days is worth a watch! 3. 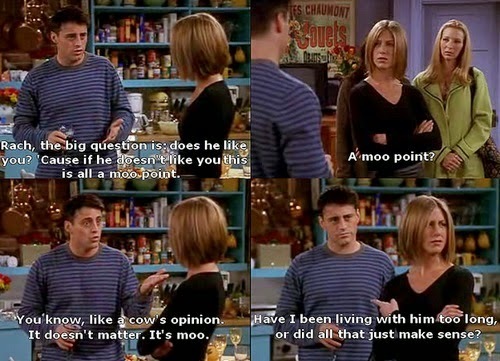 This would have been the first instance for any person to hear about "moo point". Agree? 4. 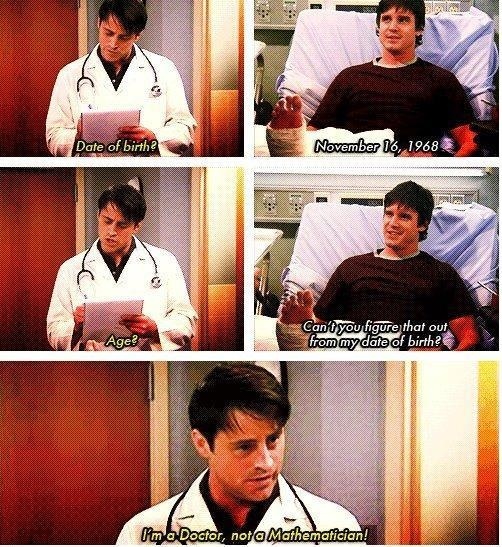 Can you imagine him doing simple Math? No way! 5. 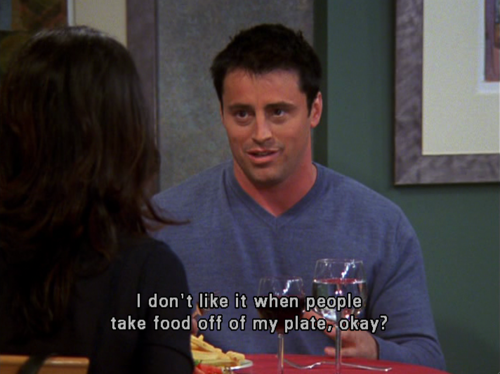 The famous dialogue "Joey doesn't share food" shows how much he loves food. 6. And here he goes again! Anything on the floor has to go in his mouth. Aww! But still cute! 7. 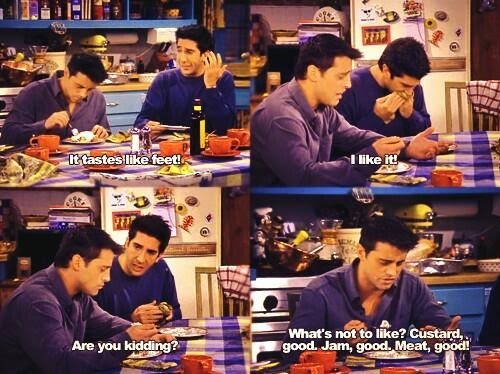 Remember the time when Rachel makes custard and includes meat in it? When everyone else dreaded to eat it, Joey was the only one who relished the taste. 8. The picture speaks for itself. Food, food and all the way food! 9. If you are slightly overweight, flaunt your curves. 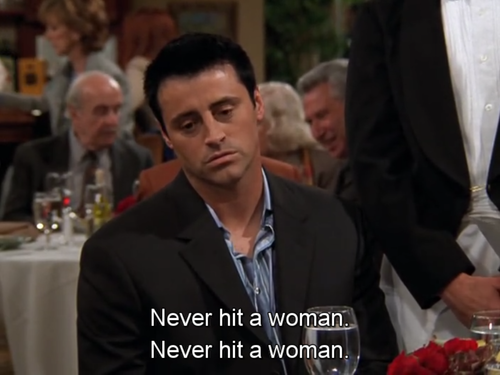 Our favorite Joey does that! 10. 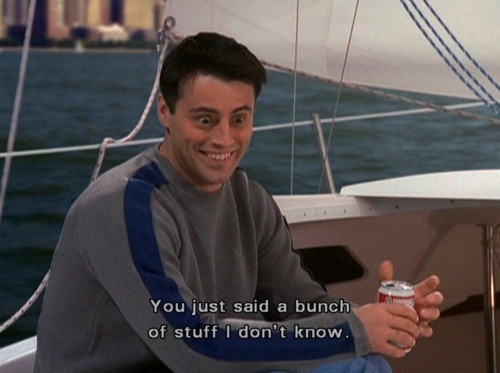 Let's learn some new words from Joey Tribbiani. 11. 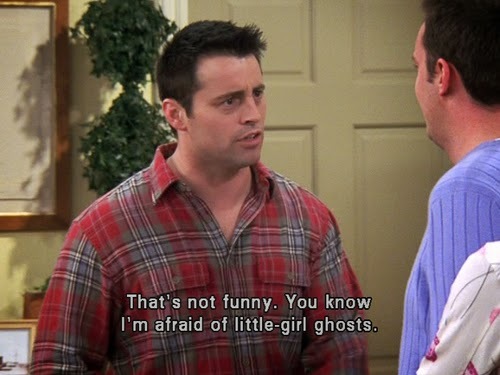 Are you scared of little ghosts? 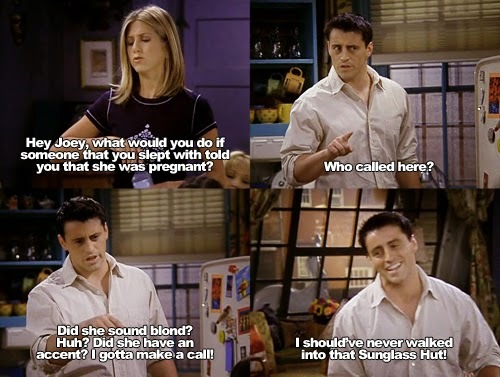 Well, Joey obviously is! 12. 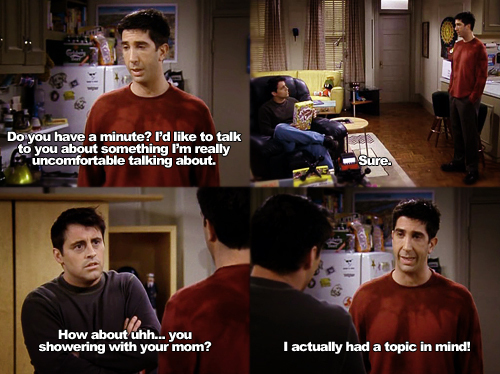 The expression of Ross when Joey asks him dumb questions is hysterical. 13. Think of intelligence and then think of Joey. Far far apart, aren't they? 14. 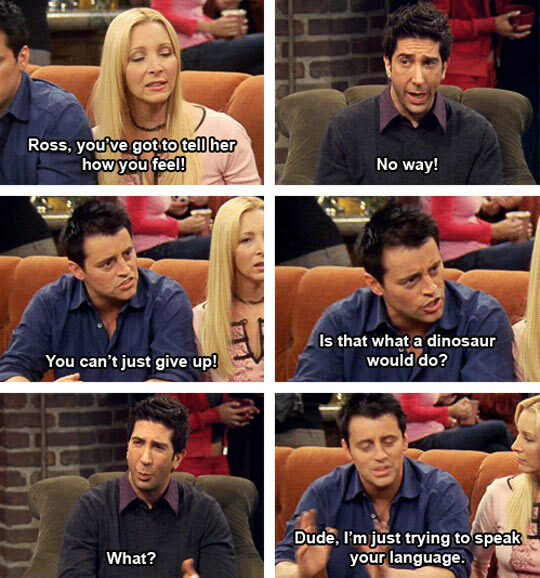 The way he explains Ross of dinosaur language is super cute. 15. Here we have Rachel become a victim of Joey's intellect just like everyone else. 16. It's food time and he just wants to concentrate! 17. Never separate or comment him and his food. Mind it! 18. He makes the happy dog sad and feels for it. 19. 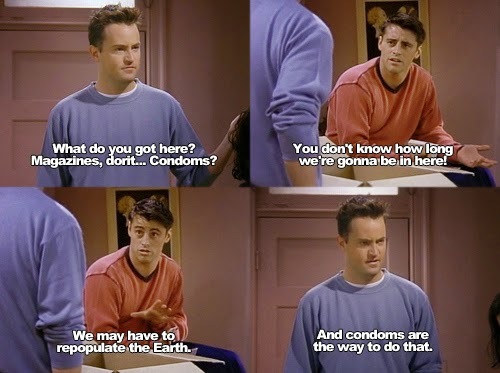 When Joey put his thought on populating the earth with his own ideas! 20. He thinks Yemen is not a country and is something actually made up by Chandler. Lol! 21. 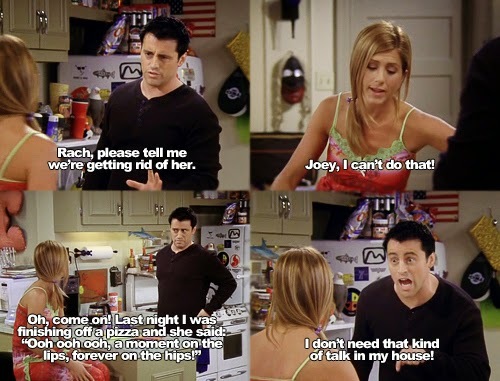 Joey tells Rachel it's not a big deal to leave the baby as he wasn't bothered much as a baby. Poor Joey! 22. Good or bad, all he does is crack jokes and make us laugh. 23. 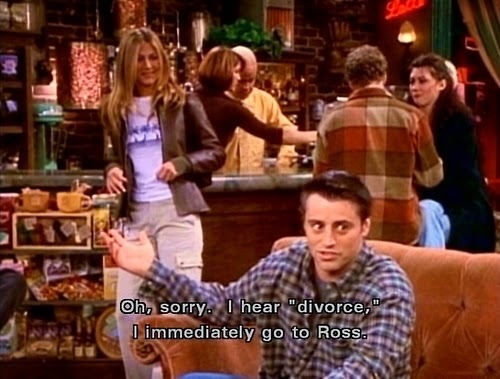 After three divorces, divorce and Ross go hand in hand. 24. No more lying please! 25. 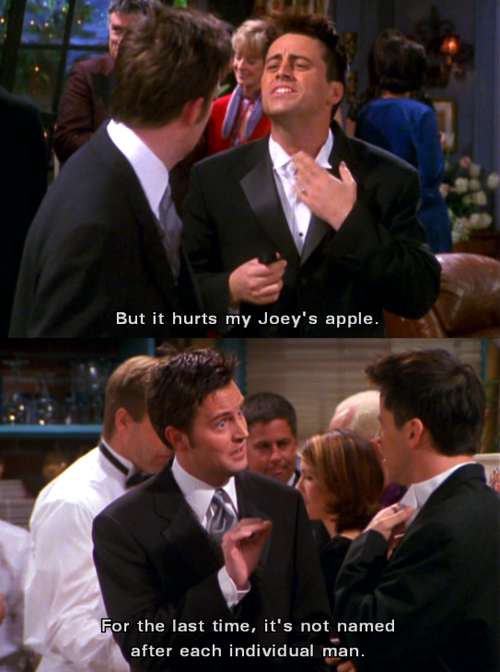 The one where Chandler tries to explain Joey that there is no such thing called Joey's apple. 26. 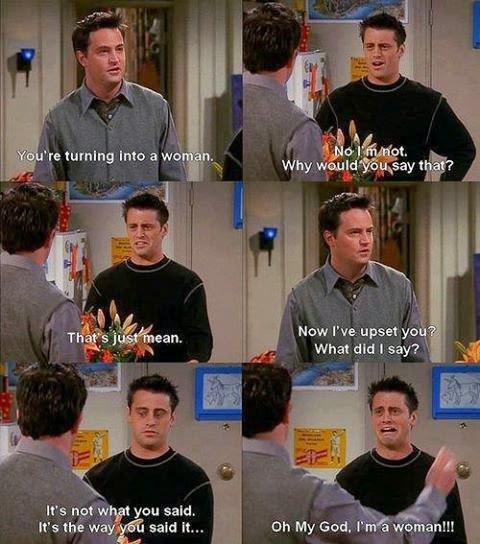 Chandler and Joey's friendship is always a treat to watch. 27. He does talk dirty at times and agrees on it. Do we mind? 28. 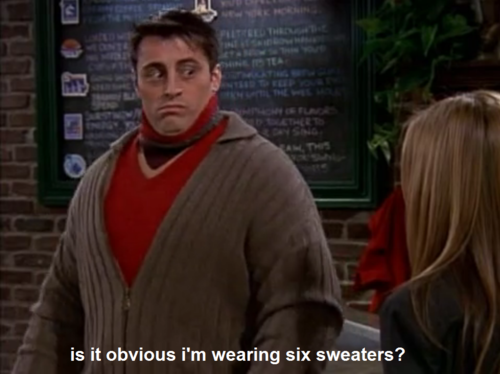 The time he wears so many sweaters to escape the painful pats from his girlfriend. Whimsical! 29. 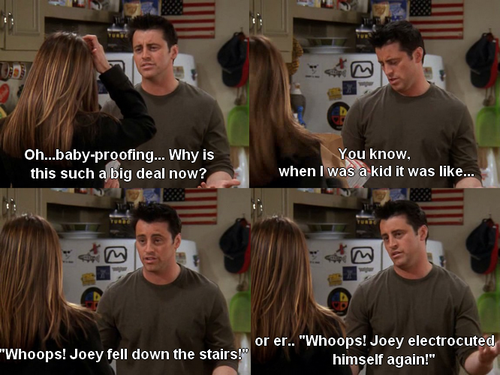 Someone who is always on the verge to jump, that's Joey Tribbiani for us! 30. At times, the stuff he says gets unbelievable. Whatever! 31. You stop him from eating his food and he controls not to hit you. 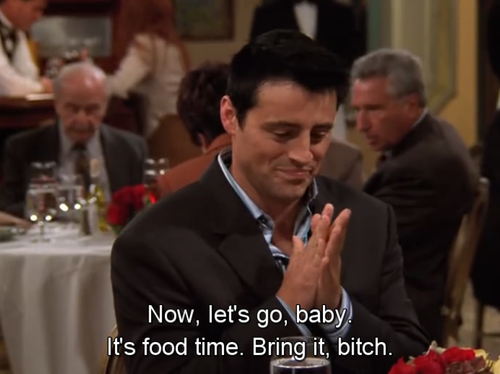 Food & Joey are made for each other! 32. A true friend is what you get when you have Joey Tribbiani. 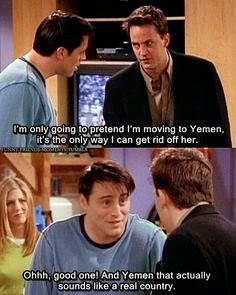 This one is from the time he saves Chandler and Monica from being caught. Friends forever! 33. 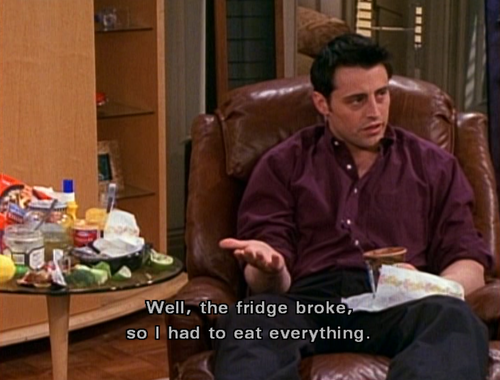 When the fridge broke! 34. 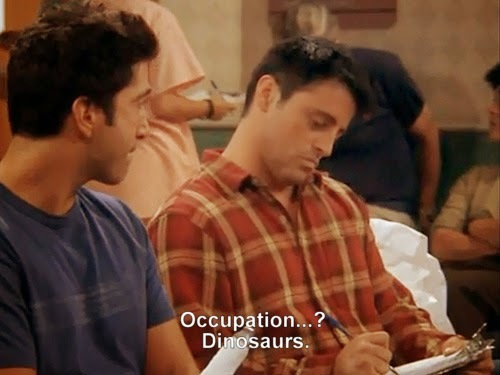 Dinosaurs is probably the only thing Joey understands when it comes to Ross! 35. 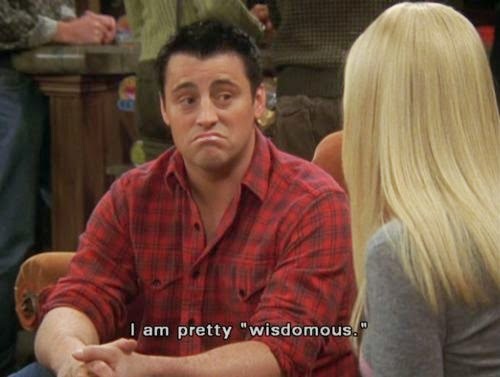 Last but not the least, here is Joey flaunting his knowledge yet again. 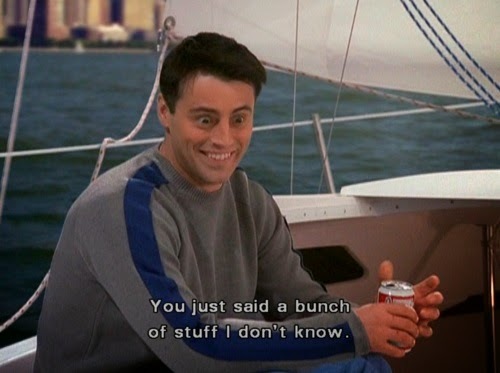 Hope all the Joey Tribbiani fans enjoyed this article. 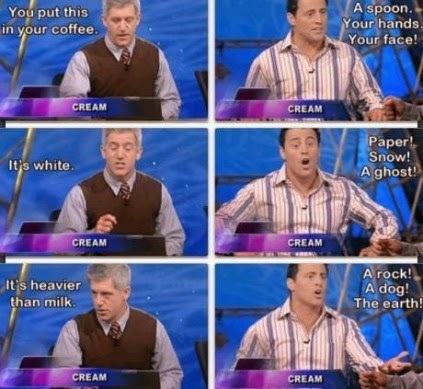 Those who haven't watched Friends yet are missing out a lot of Joey fun. Just go and watch it. Better late than never!